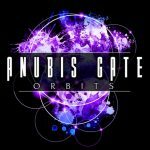 Anubis Gate was founded in 2001 by Jesper M. Jensen and Morten Sørensen under the name Seven Powers. A demo CD of instrumentals was made, but it wasn’t until 2003 when they found vocalist Torben Askholm that things really started to take shape. At first the idea was to record a demo based on some of the Seven Powers tracks, in order to get a record contract. Music was mainly written by Jesper. Lyrics and vocal melodies were then added by Torben and Henrik Fevre, and later in the studio lead guitars/keyboards were added by Kim Olesen. Both side men were old friends that had played with both Morten and Jesper in different bands in the 80’s. 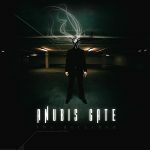 As soon as the demo was finished it was sent to Danish management Intromental, who quickly secured the trio a record deal with Spanish label Locomotive Music, now under the name Anubis Gate. So what started as a demo ended up being the debut album “Purification”, produced by Jacob Hansen and released April 26, 2004. Metal music archives said: ”Overall, if you are a fan of progressive metal that is largely based in power metal, you’ll probably enjoy it”. For the next album Henrik (bass/backing vocals) and Kim (guitars/keyboards) joined as full time members, and both started taking more part in the songwriting. “A perfect forever” – the 2nd album, was released on September 19, 2005 in Europe/USA and on January 2nd 2006 in South America (Encore records). Once again with a grandiose production from Jacob Hansen. With an even more mature and melodic songwriting, this album set a light to a massive fire in the hearts of many metal fans and reviewers alike. Thoughtsofmetal wrote: ”All of the songs are of high quality, and though I would have liked a bit more uptempo, I can end with about the same words as with VANISHING POINT: quality music that should not be missed in your collection”. In the fall of 2005 Torben suffered from a temporary loss of his voice, which eventually forced him to leave the band. For the upcoming gigs Henrik took over vocal duties, while playing the bass as well. This was never thought as a permanent solution, so in 2006 Jacob Hansen joined Anubis Gate as the new vocalist. The band started writing and recording their third epos “Andromeda unchained”, which was quite a departure from the first two album, incorporation more prog metal elements to the power metal foundation. It also saw Jacob taking part in the songwriting, implementing hard rock elements to the sound in addition to a more clean and high-pitched vocal style. Henceforth Kim would also be the main man in pre- and post production of the music, putting it all together. Released on August 14, 2007 the sci-fi inspired semi-concept album gained ecstatic reviews from the press and was loved by the fans. Some declaring it to be the power/prog release of the century. Metalcrypt.com said: “The compositions never feel overcrowded and never slip over into masturbation”. Metal Storm said: “Andromeda Unchained” is a great surprise! This album is really complex without being hard to understand”. For the first time this album was produced by both Jacob Hansen and Kim Olesen. “Andromeda Unchained” was nominated for 3 Danish Metal Awards. The categories being: Best album, best production and best cover. It took home the best cover award. “The Detached” marked the end of Anubis Gate’s obligations with label Locomotive Music. Several other companies showed interest as the band in 2010 embarked on writing material for their fifth album, which was scheduled for release in the spring 2011. In fact most of the songs were already finished when lead singer and producer Jacob Hansen announced his surprising departure from the band due to the increasing workload of being a first rate producer. 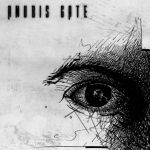 Luckily Anubis Gate had a replacement within the band; bass player Henrik Fevre, who already did backing vocals and the occasional lead on recent albums. Demos of the new material, produced by Kim Olesen, secured the band a record deal in March 2011 with Minnesota-based Nightmare Records for a fifth album release in the fall of 2011. A great way to celebrate the band’s ten years anniversary. 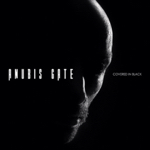 The new album, titled simply “Anubis Gate” was released on September 13, 2011. For the first time the album was accompanied by a music video for the single version of the song “Golden days”. The songwriting, which has always been the core of the Anubis Gate sound, was stronger than ever, this time emphasized by the fact that Henrik Fevre, who was largely responsible for writing the vocal lines and lyrics for the previous albums, got to sing the words he wrote himself, injecting the emotion and meaning into the lyrics that he had in mind when writing them. Maybe a reason why the band survived yet another change of vocalist. Once again produced by Kim Olesen and Jacob Hansen and with a stunningly great mix done by the latter. 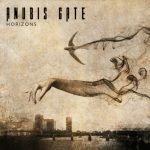 Metalreview said: ”Anubis Gate is more than just a typical power/prog record; very simply put, it’s just great music that makes you feel good, and that’s something that shouldn’t be missed”. After a small series of gigs culmination at Prog Power in Holland in the fall 2012, founder Jesper M. Jensen announced that he no longer wanted to be part of the band. Soon a replacement was found in Michael Bodin (Third Eye), who had previously played with Torben Askholm in Northern Empire. Even though the music for the 6th album was already far in the making, Michael managed to get his writing skills implemented. Shokingly only a couple of months later the other remaining founder Morten Sørensen also announced his departure. Luckily the band quickly got hold of drummer Morten Gade Sørensen, (Pyramaze & Wuthering height), with whom Kim had previously worked during the recording of Lance King’s “A moment in Chiros” album. The idea of releasing “Sheep” was a sort of apology to satisfy fans, who via the social medias had been promised a new album in 2013. Due to different circumstances the album didn’t arrive until April 15, 2014 entitled “Horizons”. Another ten song collection that showed even more of what the new line-up was capable of. 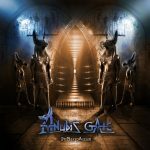 Metalunderground said: “Anubis Gate expands the horizon of progressive metal” and Eternal-terror.com wrote: “…definitely their benchmark/pinnacle effort in their already impressive career”. At the same time the first four albums were now again available as downloads after years of struggling with Locomotive Music, who besides (still) owing the band money wasn’t very keen on taking down the albums from iTunes etc., even though their licences had long run out. Finally they did and the band could rightfully profit from its earlier efforts. After this it was time for playing live again, and on September 19, 2014 the new line-up was on stage for the first time in Odense, Denmark. A planned Prog Power Atlanta gig was scheduled for September 11, 2015, but later cancelled due to illness within the band. 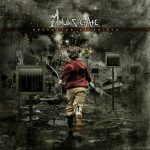 In 2016 Anubis Gate launched its long-planned fundraiser campaign to get the first 4 albums back out on a physical format. The original CD’s were long out of print and the few copies for sale fetched sky high prices on eBay. It was time to do something about it and the idea of making a box set of said albums + 2 bonus CD’s containing rare studio- and live recordings came about. The fundraiser ran for two months from February to April and aimed for a total of 18,000 dollars to cover the expenses, and it came out successfully. So in August 2016 the numbered limited edition 6-cd legacy box sets entitled “Orbits” finally reached the pledgers, and the remaining copies (of 1,000 made) are still available from Nightmare Records exclusively. The 7th album was inspired by one of the band members bad mental health during the writing period (2015-16). So the band came up with darker, more complex and dissonant material than ever before, and naturally the lyrics also reflected this. Thus “Covered in black” became an album very different to its presuccessors. It’s a theme album, dedicated to people in dark places, and not a concept album as such. It was recorded during the summer/fall of 2016 and once again produced by the dynamic duo of Jacob Hansen and Kim Olesen. Although complete by March 2017, its release was postponed to September 1, 2017 and a video for “The combat” was released in August. Angry Metal Guy put it like this: “If your issue with the band’s prior output was a lack of heaviness, this may be what you were waiting for. Definitely worth a dedicated spin for the progressive-minded among us”. Big sails were then set for “Black” with no less than two videos released; one lyric and one featuring the band. 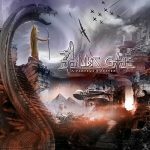 THE MUSIC OF ANUBIS GATE: Stylistically Anubis Gate is conglomeration of the classic 80’s heavy metal, a more epic 90’s ambiance and a dark progressiveness of our days. Add in the melancholy and melodic sensitivity of 80’s pop. Mix all that with the giants of the 70’s progressive rock scene and you have Anubis Gate.